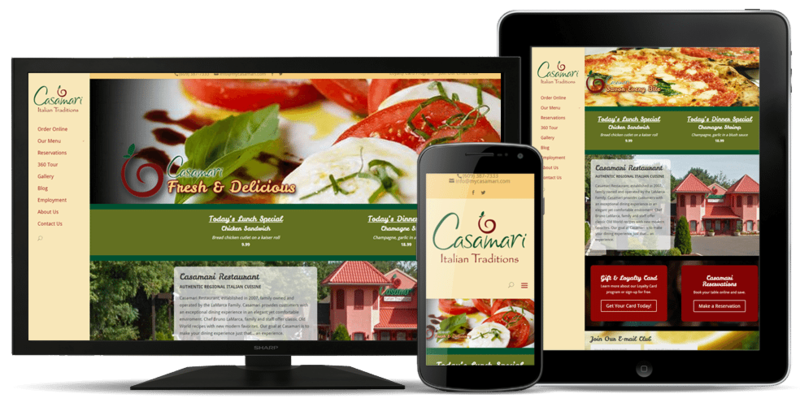 Casamari Italian Restaurant - Creative Communications and Graphics, Inc.
Casamari Italian Restaurant was in need of an updated website. CCandG created the new website with their customers in mind. All menus were created in a mobile-friendly manner to allow customers to view the menu updates on their phones. The new site also added new powerful features, such as pushing blog post directly to facebook and twitter for an enhanced social media experience. The site also features a VIP sign-up, Calendar of Events and much more. 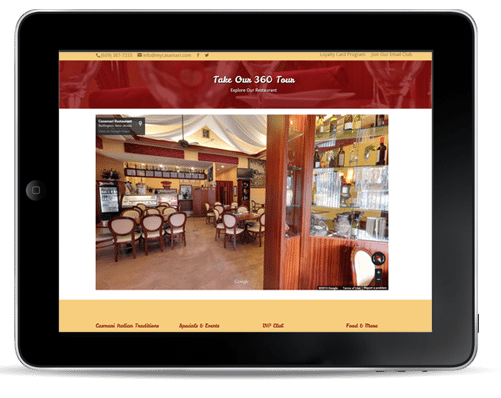 The new site allows Casamari Italian Restaurant to connect with it’s customers in a way that was not possible with their old site. CCandG focus was to upgrade the overall appearance of the website, while making it easier to update and access across all devices. Casmari wanted to give their customers an inside look at what makes their restaurant a truly authentic Italian dining experience. For that, we added a 360 Virtual Tour of the restaurant for the customers to take an inside-peak at the lavish dining area. In addition to the tour, customer also have the option to sign up for VIP status, which gives them access to premiere food and drink specials.